Let me tell you a story. There once was a girl name Hiko. She was the first child born under her family’s curse. Her father was, well, me. Her mother was a low level fire goddess. In her first few months of life, I trained her to use my own weapon: a naginata. A few months after, when I passed away, she became the head of the family—responsible for helping our family live on despite the curse. From there, she—along with her sister and cousins—took down two demons and battled a third before being forced to retreat. Her donations to the local city tripled in size. All this was done before she was 14 months old. Oreshika: Tainted Bloodlines is part breeding game, part turn-based JRPG. Thanks to a demonic curse, each of your characters has a lifespan of two years—though often less thanks to the life stresses of constant fighting. Each time you venture into a dungeon or breed a family member with a god, one month passes. In other words, it’s only a matter of time till your characters die. It will take you far longer than just a generation or two to finish Oreshika: Tainted Bloodlines. On the hardest difficulty of the game, it could take dozens of generations—each with up to 10 characters—to beat the game. And each one of those characters has a life story—a life story you create. This is the most unique aspect of Oreshika: Tainted Bloodlines. When I look at my game’s family tree, I drown in memories. I remember each of my characters, their lineage, what they accomplished in their lives, and if they were particularly useful or not. Perhaps the most bittersweet thing about the game is that my experience really is unique. No one will have the same characters with the same lives as mine. Moreover, because of using my own face for the first generation—as well as the random features passed from both human-side and god-side parents—my characters will also look different from those of anyone else who plays the game. This makes the game incredibly personal. Without you, these characters and stories will be lost forever. Simply put, it is a memorable game unlike any other I have played. 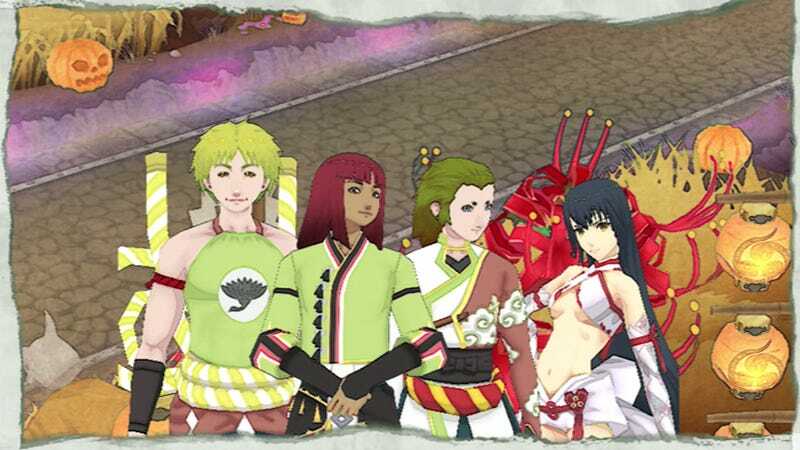 Oreshika: Tainted Bloodlines was released in Japan for the PlayStation Vita on July 17, 2014. It has been licensed for a Western release, but no specific date has been announced.